Thought you might like this poster - if only for the socio-political landmine it tiptoes through. The only thing missing is someone actually riding a bike. But I suppose that's to be inferred. 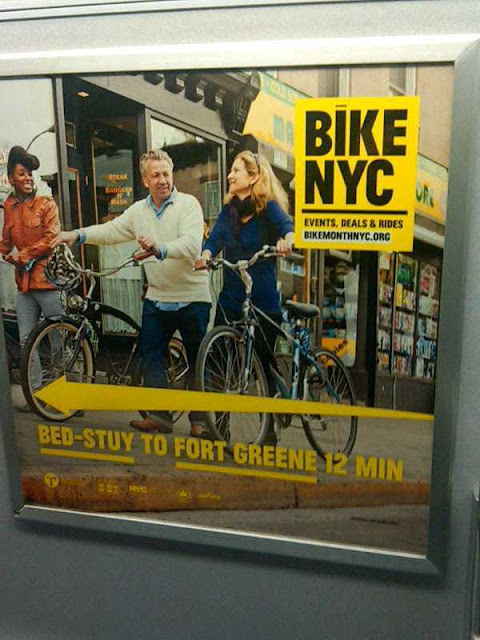 It's for Bike Month NYC, but if you're planning on riding on June 1st and beyond, remember to sign up for Bike Century.